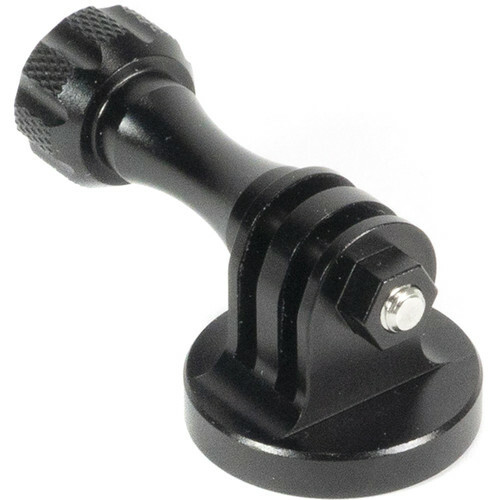 The EVO Gimbals Low-Profile 3-Prong Mount Tripod Adapter with Thumbscrew features a 3-prong mount on top and 1/4"-20 threaded hole on the bottom. It allows you to attach an action camera or accessory with a corresponding 2-prong mount to a tripod, monopod, selfie-stick, or other 1/4"-20 support gear. A thumbscrew is included to secure your camera/accessory.